PEÑA NIETO 1- HOMOSEXUAL,NARCO & ASSASSIN-CONFIRMED-Subtitled from daly dal on Vimeo. 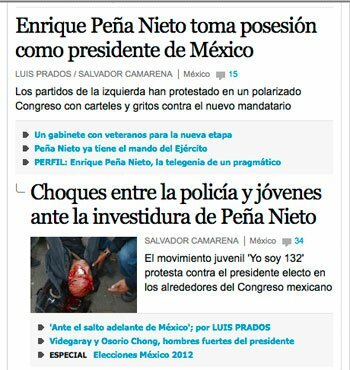 PEÑA NIETO 2- HOMOSEXUAL, NARCO & ASSASSIN CONFIRMED-Subtitled from daly dal on Vimeo. NARCO PEÑA NIETO DÍO MICHOACÁN AL CARTEL DE LOS TEMPLARIOS DONDE "LA TUTA" JEFE DE ESE NARCO ES QUIEN GOBIERNA ESE ESTADO EN COMPLICIDAD CON SU CUÑADO: EL GOBERNADOR INTERINO "JESUS REYNA" AQUÍ LA PRUEBA. TEMPLARIOS GOBIERNAN MICHOACÁN from daly dal on Vimeo. EL JEFE DEL CARTEL DE LOS TEMPLARIOS CONFIRMA QUE PEÑA NIETO, ESTÁ PONIENDO A PELEAR A LOS GRUPOS DE AUTO DEFENSA CONTRA ELLOS, AL PUEBLO CONTRA EL PUEBLO PARA GENERAR MÁS VIOLENCIA. MÁS PRUEBAS QUE LOS NARCOS GOBIERNAN MICHOACÁN. HERMANA DEL EX-PRESIDENTE CALDERON ASEGURA QUE EL GOBERNADOR NEGOCIÓ CON LOS NARCOS SU CANDIDATURA PARA QUE EL GANARA Y GANÓ. NARCO PEÑA NIETO CON NARCO-AMIGOS 9 Español from daly dal on Vimeo. VER SECCIÓN "CONSPIRACIÓN CONTRA CRISTO" EN ESTA PÁGINA Y BUSCA EL VIDEO: "LA ISLA Ó GRANJA HUMANA LLAMADA TIERRA 2" PARA QUE VEAS PORQUE HACEN ESTO. EN ESA SECCIÓN HAY MÁS PRUEBAS IMPORTANTES.